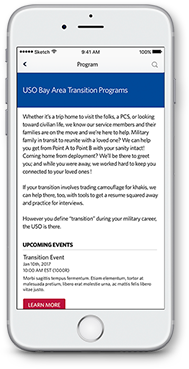 USO was seeking to design, develop, and deploy a cross-platform mobile application that introduces an additional channel for United States military service members and their families to better engage with USO centers and programs. 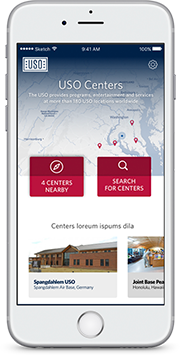 Specifically, this mobile application will foster greater discoverability of locations where USO provides services and programs offered by the USO through its distributed locations and online. 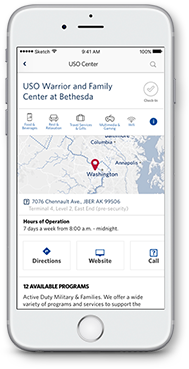 This mobile application launched in the spring of 2017 as part of a series of deployments on a fixed schedule starting with a limited beta release to 15 USO centers. 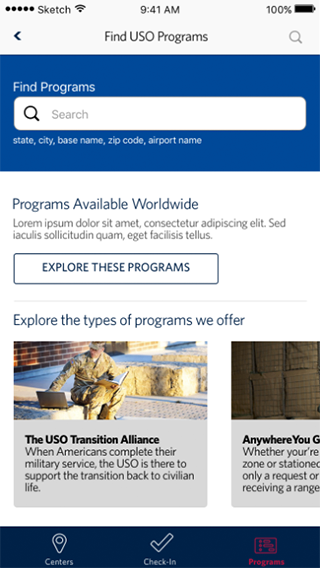 The United Service Organizations or better known as USO strengthens America’s military service members by keeping them connected to family, home and country, throughout their service to the nation. 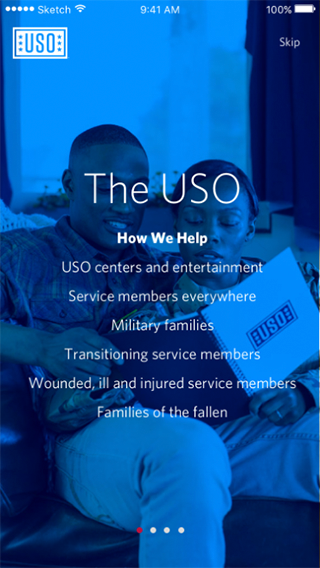 USO, a private, nonprofit organization, serves the men and women in the U.S. military and their families throughout their service – from the moment they join, through their deployments and as they transition back to their communities. Over time, the USO has become the vital bridge between Americans and their military service members. 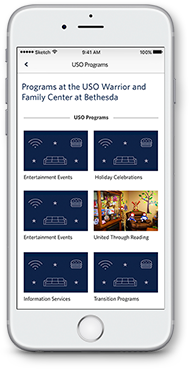 The USO provides programs, entertainment and services at more than 180 USO locations and hundreds of other military sites worldwide, including Afghanistan, Kuwait, United Arab Emirates, Germany, Italy, Japan, Guam, South Korea, Djibouti and the United States. In 2015, USO locations served more than 6.5 million service members and their families. As of December 2015, USO deployed 102 celebrity entertainers on 54 tours to 24 countries and 22 states, and entertained more than 145,400 service members and military families. 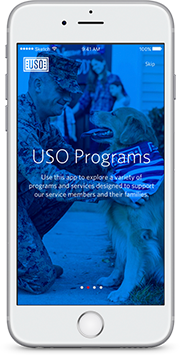 Mobomo worked with the USO team to design, develop and deploy a cross-platform mobile application that introduces an additional channel for the United States military service members and their families. 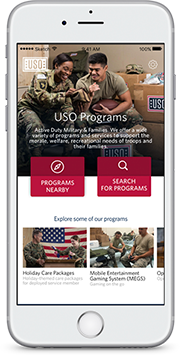 The Purpose of this platform was to foster greater discoverability of locations where USO provides services and programs offered. The initial launch was on an iOS native application platform. 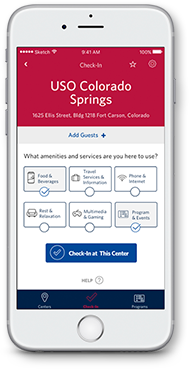 This app allows service members to have the ability to quickly check-in and have the USO be able to identify what services the service member is using at that particular center. 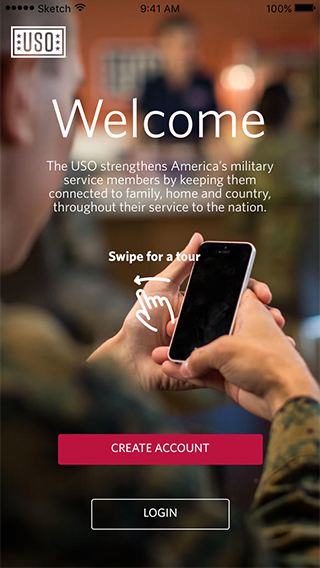 The USO did not have a mobile app platform prior to reaching out to Mobomo. Much of their communication and distribution of information has impact prior has been on paper versus using the capability of technology to streamline the communication and information between USO and its service members. What initial issues were they trying to solve at the time of outreach? 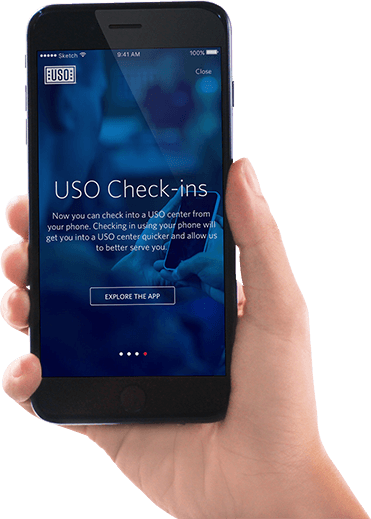 A priority for USO was to be able to streamline the check-in process using GPS functionality on the service member's phone, so that this process is easier. They also wanted to show how many USO’s there are worldwide so that service members and their families feel connected to each other. 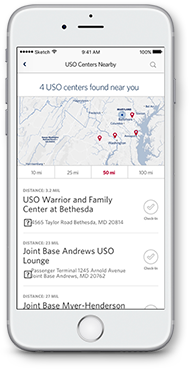 A feature that was added was the geolocation capability which was able to tell the service member which facility was close by based off the service member’s physical location. Once the issue was decided - what was Mobomo’s recommendation on how to solve issue? What was the strategy? 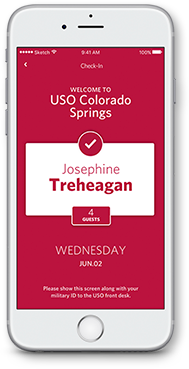 Mobomo used human centric design to develop an app easy to use for each service member. This approach creates the best experience for the user, while allowing the functionality to be easily understood by the user. Mapping the user journey through the preliminary application early in design allows the app to center around the user. Mobomo wanted to make sure that we got the locations near the service member, we wanted to show them that there were locations nationwide, and we wanted to provide a simple check - before the app, the service member would write their name on a piece of paper at the USO location a mechanism that is much easier than writing your name on a piece of paper to move them from using paper when each service member is checking into a robust mobile app check in feature. We went through our design process with human centric design at the process of the design and build. 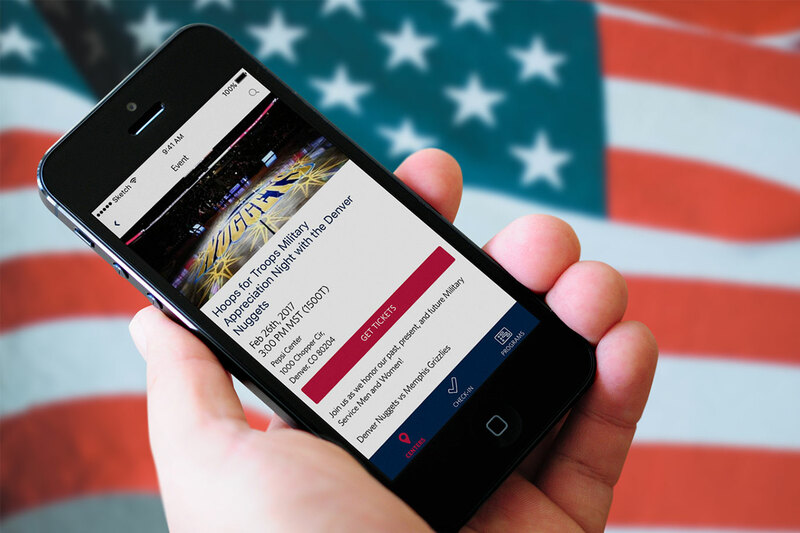 It was vital that we design and build the app that has most of the basic functionality the USO was looking for. 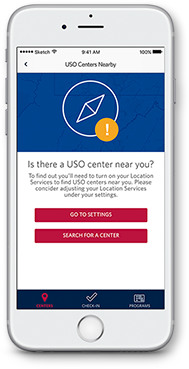 It was important to the USO for service members to easily find USO centers in the app, search for programs, and the check-in feature was important. 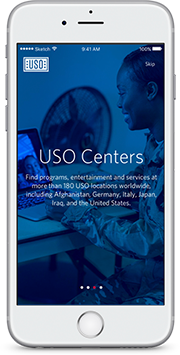 There are 200+ USO locations that all create their own content. 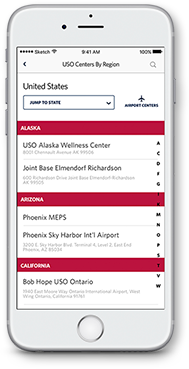 We were able to pull the CMS data and integrate it into the app so that the service member receives the content from the service center that they are physically at or that is most adjacent to them. Be sure to download their app!